Written by Klamath-Siskiyou Native Seeds on February 11, 2019 . Posted in Uncategorized. 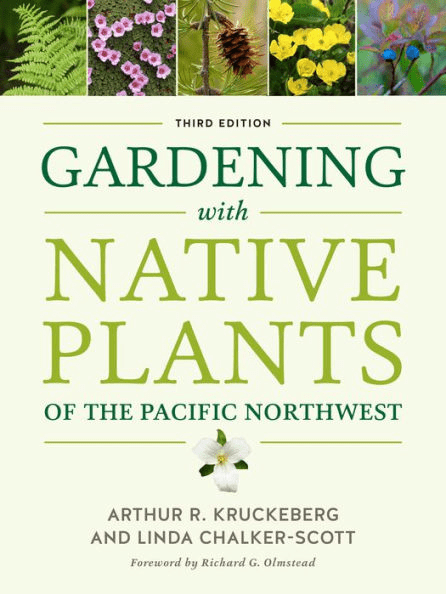 An updated, third edition of the classic book, Gardening with Native Plants of the Pacific Northwest, will be available soon! Pre-orders can be made online through Barnes & Noble before the projected release date on March 24th. 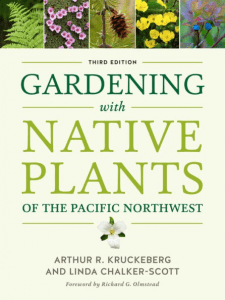 Klamath-Siskiyou Native Seeds provided many native plant photos for this new edition and we are excited for the book’s release! Thanks to everyone who worked so hard to bring the third edition of this classic book to life, and to Art Kruckeberg for the original inspiration!